Once you have built a strong, loyal and growing audience using the Content Inc. model, it’s time to expand your efforts beyond your main content platform and start publishing on additional channels. The ultimate goal is to establish three sturdy content channels, or “legs,” for your publishing stool: one digital, one print-based, and one in-person platform. 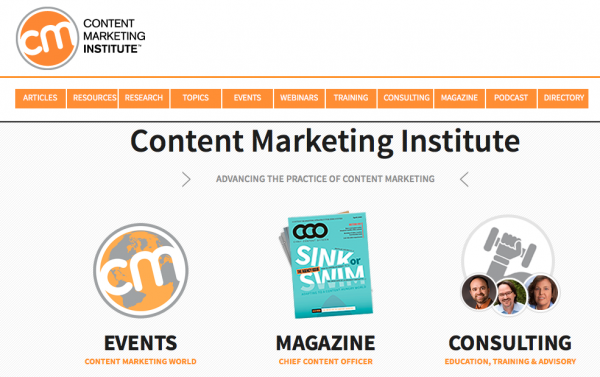 Today, Content Marketing Institute (CMI) offers a wide range of varied content products, including in-person events, a print magazine, research papers, podcasts, workshops, and more. But for the first four years of the organization’s existence, it was just a blog that published posts approximately three times a week. From the start, we used the CMI blog as our core channel to draw in an audience and gradually grow our reputation as an authoritative resource. In 2010, we opened up the blog to additional contributors and started publishing five posts a week. By 2011, we had gained enough traction that we started to publish content seven days a week. Still, it wasn’t until we had achieved a certain measure of success with our blog that CMI really began to diversify and produce content for multiple other channels and in a wide range of formats. You’re almost there; but the last step in the process — monetization— is probably the most important, as it determines how you will provide the necessary financial support to keep your Content Inc. enterprise thriving. Creating content in additional formats and platforms doesn’t have to be an overwhelming effort. Find out why you can scale back your content creation and still reach your Content Inc. goals. Download our e-book, Six Steps to Building a Content Inc. Empire.